Kenneth Hite is a writer and game designer living in Chicago. His most recent works include the RPG Trail of Cthulhu, the children's books Where the Deep Ones Are and The Antarctic Express, and Tour de Lovecraft: The Tales, a collection of Lovecraft criticism. 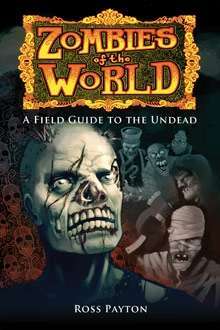 Roleplaying game scenarist, short film maker, podcaster, and graphic designer Ross Payton adds a new laurel to his crown with Zombies of the World: A Field Guide to the Undead. At only 112 trade-paperback pages, Payton does not aim for completness, but for richness. 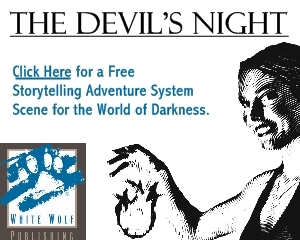 And between his light authorial tone, his slamming graphic design chops, and his slavering hunger for the topic, he shoots his target square in the head. Zombies of the World presents itself as a kind of all-in-one reference book, from a world in which the walking dead are, if not common, relatively well documented. If Dorling Kindersley published a zombie book, it might look something like this. A beautiful young girl, alone in desolate Central Europe. Nightmares. Revenge. Mesmerism. Rationality eroding under the stress of supernatural evil, murder, and disease. Blood. Mere swords against the preternatural strength of the undead. And the world’s first lesbian vampire. Got your attention? J. Sheridan LeFanu brought these elements together in 1872 — 25 years before Bram Stoker’s Dracula — in his novella “Carmilla”, a story that subtly tilts between the nightmarish Gothic terror-tale and today’s “realistic” horrors set firmly in the waking world. 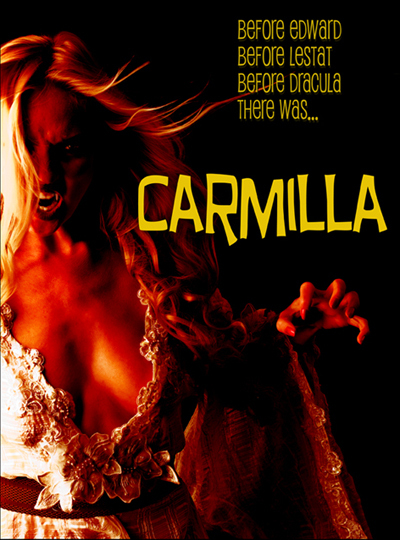 Generations later, Chicago’s Wildclaw Theatre company has adapted “Carmilla” for the modern stage. [Full disclosure: I wrote a short essay, pro bono, on LeFanu for the program book for this production.] 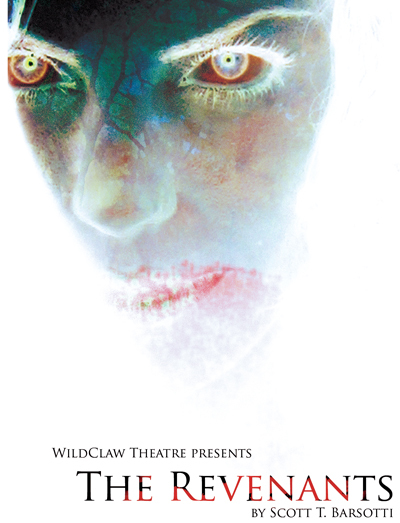 Wildclaw’s Carmilla is the latest in a series of adaptations including Machen’s “The Great God Pan,” Lovecraft’s “Dreams in the Witch House,” and William Peter Blatty’s Legion that makes Wildclaw Chicago’s — and perhaps America’s — leading missionary of classic horror to contemporary theater audiences. The place of the pastiche in fiction is mixed at best: August Derleth’s Solar Pons is but a pale shadow of Sherlock Holmes, and the less said about Derleth’s “posthumous collaborations” with Lovecraft, the better. But in his collection of linked novelettes, Trail of Cthulhu, Derleth had the happy inspiration to combine the Cthulhu Mythos with Fu Manchu, and the result is a propulsive series of tales considerably above his usual mark. In Doc Wilde and the Frogs of Doom, Tim Byrd goes Derleth one better; he combines Lester Dent’s Doc Savage (as clearly as the laws of copyright will allow) and the Cthulhu Mythos – in the form of a young adult adventure mystery. Kenneth Hite, author of Cthulhu 101 and other Mythos tomes of dark intent brings us a tale of the Call of Cthulhu roleplaying game from Chaosium. In Call of Cthulhu, your character explicitly starts no better than any other. There is no leveling up, no percentile strength, no special class skills or feats separating your character from any other citizen of Arkham. Yes, your character may well gain magical powers and travel to exotic destinations, as in other roleplaying games. But such “improvements” come at a cost, at the cost of lowering your irreplaceable Sanity. In Call of Cthulhu, the player knows at the outset that his character, if played long enough, will go insane and die. That’s a very different proposition from hoping that your character will become the vampiric Prince of Pittsburgh or get a Helm of Command at 18th level. Of course if that was all it was, Call of Cthulhu would simply be nihilistic, an exercise in masochistic masturbation. At best, its characters would resemble the decadent aesthetes of Lovecraft’s short story “The Hound,” seeking ever more outré pleasures, or perhaps the shortsighted Tillinghast in “From Beyond,” accepting insanity as the necessary visa for interdimensional tourism. And in many of Lovecraft’s stories, this is the case — Lovecraft was, after all, a nihilist (albeit a gentlemanly nihilist) himself, who considered morality “mere Victorian fiction.” The object of terror, for Lovecraft, is terror. The high concept of James Morrow’s novel Shambling Towards Hiroshima is, quite frankly, almost worth the price of admission by itself. Unbeknownst to most Americans, the Navy had a backup plan in case the Army’s A-Bomb didn’t work out in WWII — genetically engineer giant, fire-breathing lizards to devastate Japan. (But we were building the A-Bomb to devastate Germany, I hear you cry. Never you mind about that.) But unlike our secretive A-Bomb policy, we decided to demonstrate our monsters to the Japanese to give them a chance to surrender first. But (and here’s where it gets really good) we couldn’t devastate anywhere real for a mere demonstration, so the Navy hired the world’s greatest monster-actor, Syms Thorley, to get into a rubber monster suit and stomp around on a model of “Shirazuka” for the cameras. The plan was to show the film to the Japanese and horrify them into surrender. Every so often, you will see Catherine “C.L.” Moore’s hero Northwest Smith referred to as the model for Han Solo. This would only be strictly true in a world in which Josef von Sternberg directed Star Wars. Yes, Northwest Smith is a wanted criminal and occasional smuggler; yes, Northwest Smith wears space leathers on his lean frame and a ray-gun on his hip; yes, Northwest Smith has a dangerous killing alien as a sidekick. But in the thirteen recorded Northwest Smith stories by C.L. Moore (all collected for the first time in this excellent Planet Stories omnibus), we only see the inside of one spaceship — and Smith is a passenger, not the pilot. No, Smith may inhabit a solar system of Martian canals and Venusian swamps, but his adventures are less SF than a kind of lush, operatically colored noir. 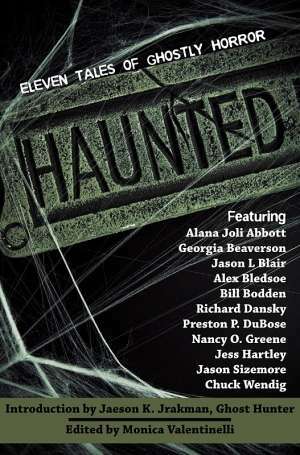 Chicago’s Wildclaw Theatre company takes, as its mission, the restoration of horror to its rightful place on the stage. Its previous productions include theatrical adaptations of Arthur Machen’s “The Great God Pan” and H.P. Lovecraft’s “Dreams in the Witch House,” showing a solid grounding in the classics. Their newest show is the Midwest premiere of Scott T. Barsotti’s The Revenants, a drama of love and zombies. Without spoilering anything, I can say that the play is a thoroughly successful melding of the relationship drama and the zombie apocalypse; neither component was bolted on after the fact, and each provides vital momentum and plot turns for the other. WildClaw’sWitch House also concerned apocalypse, though interestingly a less personal — and more cataclysmic — one than Lovecraft’s story. It, also, featured a relationship drama, although one cast as a parallel investigation; a despairing Thin Man story wherein Nick and Nora meet only for the catastrophe.